THIS UNIT IS OUT OF PROVINCE BRITISH COLUMBIA AND WILL REQUIRE AN OUT OF PROVINCE INSPECTION. THE FRONT END OF THE VEHICLE IS CHIPPED. THERE ARE SEVERE DENTS ON THE LEFT FRONT PILLAR, LEFT FRONT FENDER AND BOTH REAR DOORS. THE ROOF AND LEFT REAR FENDER HAVE SMALL DENTS. THE REAR BUMPER IS SCRATCHED. THE TRUNK LID HAS PEELING PAINT. THE LEFT SIDE MIRROR IS BROKEN. 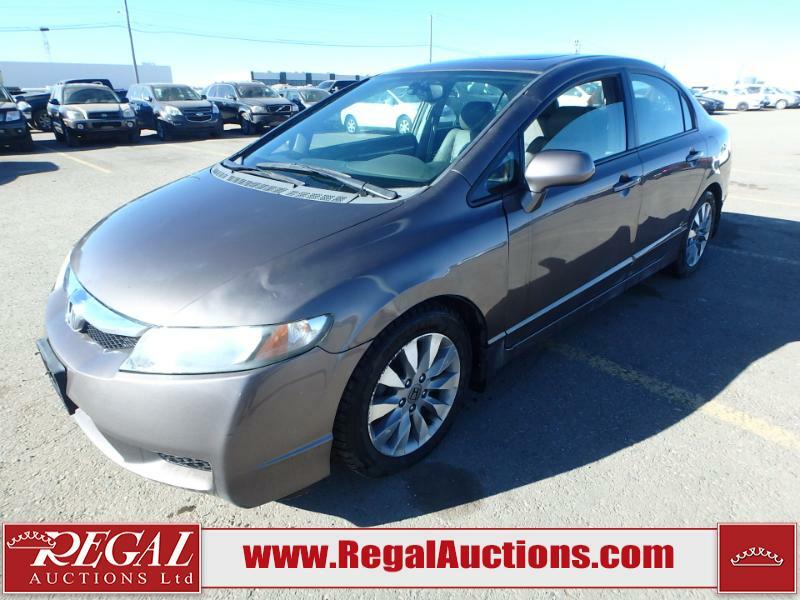 THIS COMPACT SEDAN IS A 2010 HONDA CIVIC EX-L MODEL POWERED BY A 1.8 LITRE 4 CYLINDER ENGINE AND A 5 SPEED MANUAL TRANSMISSION. IT IS EQUIPPED WITH HEATED LEATHER SEATS, A POWER SUNROOF, WINDOWS AND LOCKS.